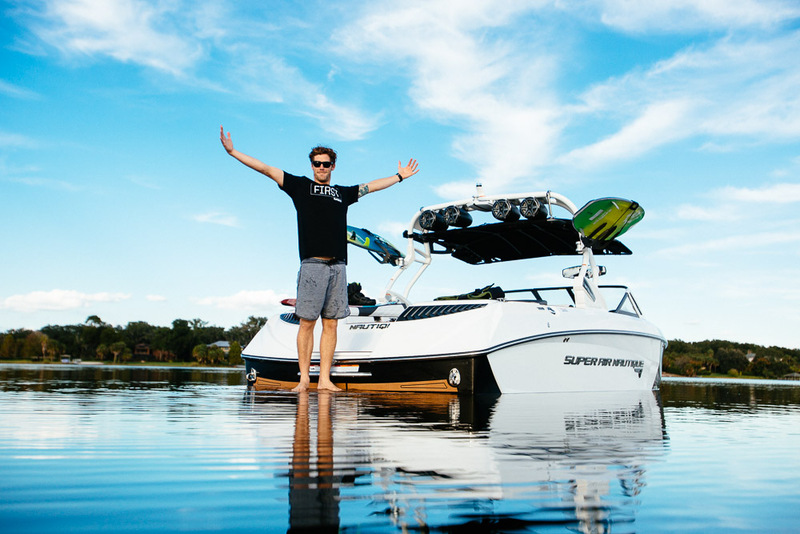 The Nautique G23 is my boat of choice because of its #1 ranking wake/wave according to anyone who has a clue about boards and boats and the fact that I can remotely control the boat with my watch. Plus the interior is yacht-like . 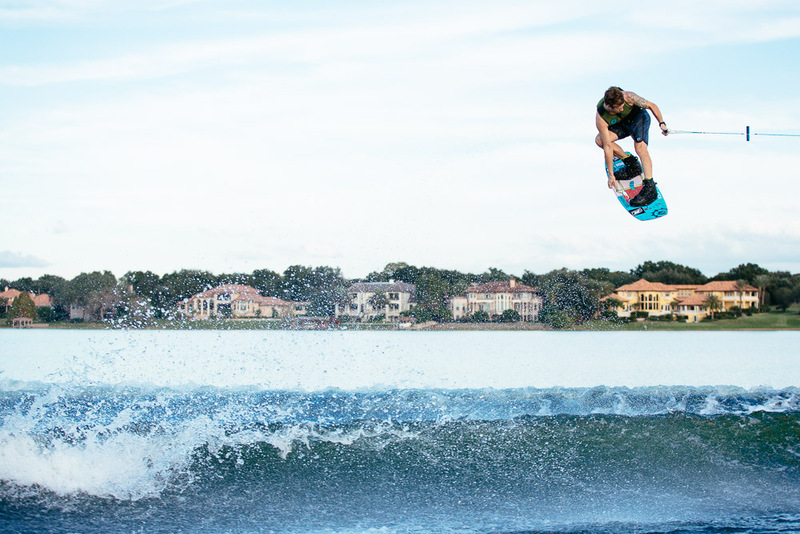 The wake is so massive that I can basically touch the moon every time I ride. Seriously, it’s bigger than a double up on any other boat out there . This boat’s spirit animal is a hammerhead because it has such a bold, aggressive look and is totally fast and agile despite its size . I can fit all of my boards , coolers, surfers, fishing poles, family, and friends without anybody having to hide in a locker or sit on each other. Of course, you can’t talk about a boat as award-winning as this without mentioning the 3,000 lbs of ballast and the Link System w/ helm control, which makes changing the wake a breeze . There are more speakers in this boat than in my house and cars combined , which means it’s louder than my children at a candy/princess convention . Soul is my favorite style of music to blast through the system while I’m working on my tan . If you’re into boat surfing this thing will put out a wave that will push you with the power of the Loch Ness monster while you attack the lip . Seriously it comes up to my stomach and makes me feel like I can join the World Surf League . 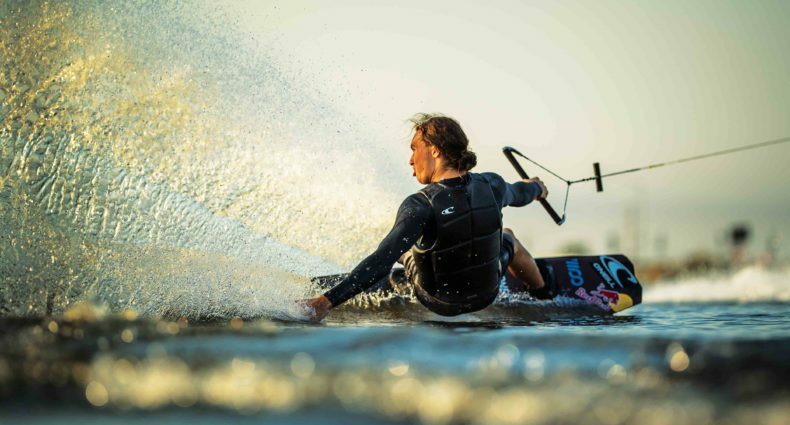 It’s all possible thanks to the Nautique Surf System that does a lot of fine tuning and allows you to switch instantly from one side to the other . I mean, just look at this thing. It’s got more horsepower and cup holders than the Daytona 500 , and is prettier than any other vessel I’ve had the pleasure of operating . The only thing I like better than this boat is riding behind it and admiring how good it looks and that’s because I’m a slave to the wave .